I want what she is having! 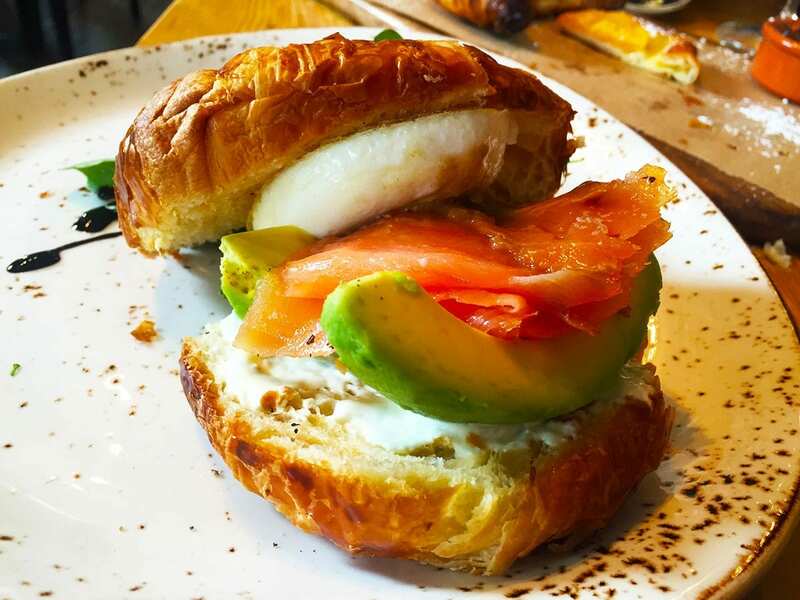 When crazy egg lover can’t contain the excitement for Smoked Salmon Croissant at brunch from Lupo Verde, a modern Italian restaurant on U Street in Washington DC. We were very thrilled to come back to one of our favorite spots in the District and by total chance tried something super nomnom. We almost settled on another dish until I saw this on another table, but couldn’t find it on the menu. You know how much we love our eggs, EGGGSSSSSSS!! 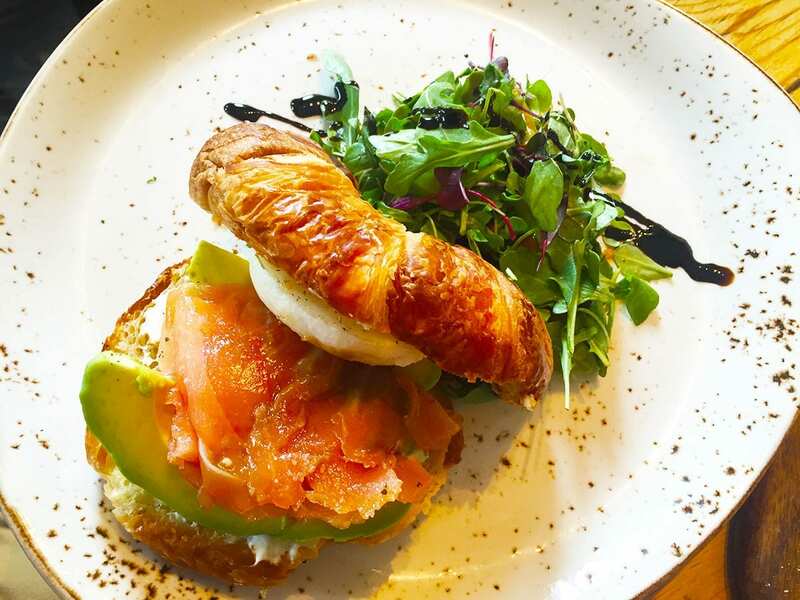 Hint, the menu doesn’t say this dish comes with a croissant. Good thing waiter quickly pointed us to the right dish. The actual name of the dish is Tartina al Samone, but they took the standard dish to a whole new level at their Saturday brunch. The smoke salmon was simply divine, every bite just made me dance in my seat from joy. Combined with a fluffy soft poached egg on top that added that yoke flavor we love so much. 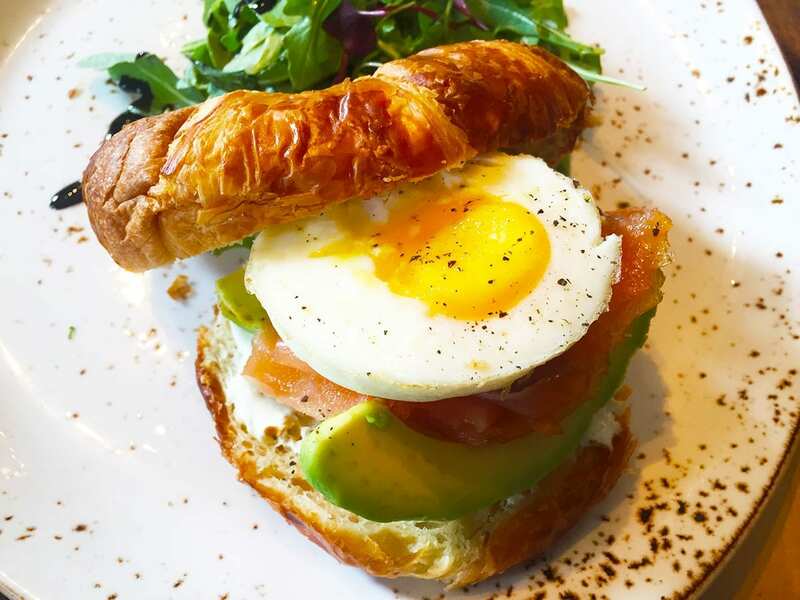 This dish would make any egg brunch lover very happy. The cream cheese added that nice soft texture and flavor, but still, let the rest of the flavors come through. Every bite was so good that we had to slow down and savor it for longer. An amazing dish like that should really get 6 NOMs, our absolutely highest rating that would guarantee it spot on Top NOMs of the Year. So why didn’t it get this score? Well, the avocado tasted a bit hard. Not an overly big deal, we still absolutely loved everything else. I thought the price was it was pretty good for $13 you get a very good dish that will fill up even this very hungry nomster. Even not with the best avocado, this was still one of our favorite dishes in recent month. Absolutely ordering this again on our next visit, or forcing a friend to get it so we can have some. Hi Boris! This is my first time visiting your site… I love how bright and vibrant it is. Your logo is just hilarious! Oh my gosh that is totally heaven on a plate, that! I need this in my life! Awww thank you, yea this is one of my favorite DC food places. So good! !